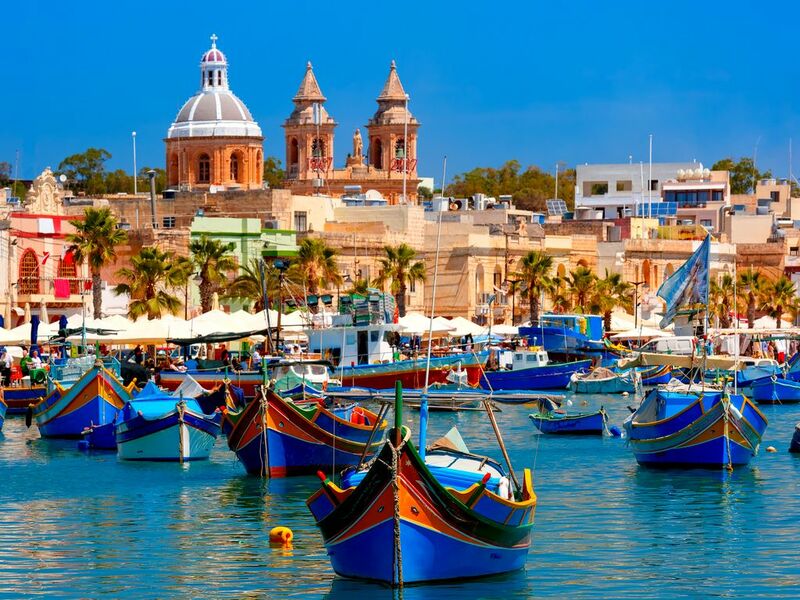 Marsaxlokk Malta is the epitome of traditional Mediterranean island life. Here’s a quaint fishing village sprawling around a natural harbour in the south of the island of Malta. Visiting is like taking a stroll back in time. Everyone seems to be painting their boat, fixing their nets or selling their fish. Elderly men gather on benches dotted along the esplanade, smoking cigarettes and reciting stories. The salt from the sea seems etched into their weathered faces. Marsaxlokk is a concoction of old low-rise houses and narrow streets set around a sheltered port. The scene is bright with the bold red, blue, yellow and green splashes of colour from the luzzu fishing boats. This village is home to most of Malta’s active fishermen. Their boats sway in the harbour, mirroring the slow pace of life typically associated with authentic Maltese village lifestyle. The atmosphere is calm and serene, a perfect seaside escape to chill out and unwind. Many muse at how the tiny island of Malta can play host to such a variety of scenes. From the busy Valletta terminus, bus number 81 or 85 brings you to timeless, sleepy Marsaxlokk in under an hour. This is a great opportunity to immerse yourself in local lifestyle and mingle with the locals. And to tuck into every kind of fishy Mediterranean delicacy. The greatest highlight of Marsaxlokk Malta is definitely its fish market. However, it sells far more than fish! Market stalls decorate the waterfront every morning of the week, reaching enormous proportions on a Sunday. Apart from being several times bigger, the Sunday market is a popular spot to socialise for locals donning their Sunday best. 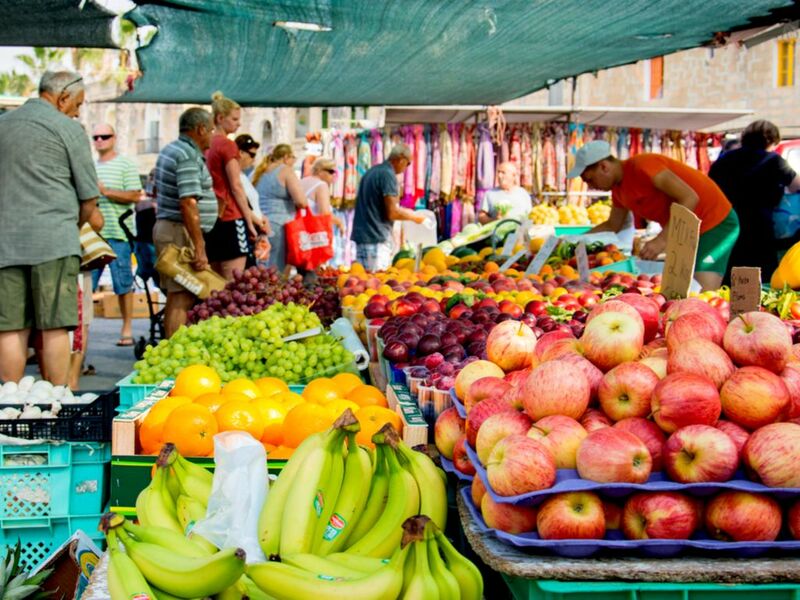 Besides fresh fish and seafood, expect local fresh produce as well as home-made jams, wine, local honey and more. Maltese handicrafts, such as traditional Maltese lace, and quirky souvenirs adorn countless more stalls. Expect also an eclectic mix of knick-knacks, clothes, shoes, toys, plants and everything else under the sun. But it’s all gone by noon, so get there early. Another draw to ditching your sleep for an early rise is watching the fisherman bringing in their fresh catch at sunrise, directly from their luzzu to the market stalls. Find out what makes this upmarket spot favoured by locals for its fresh fish and seafood dishes. Tartarun restaurant takes its name from a typical local fishing technique. 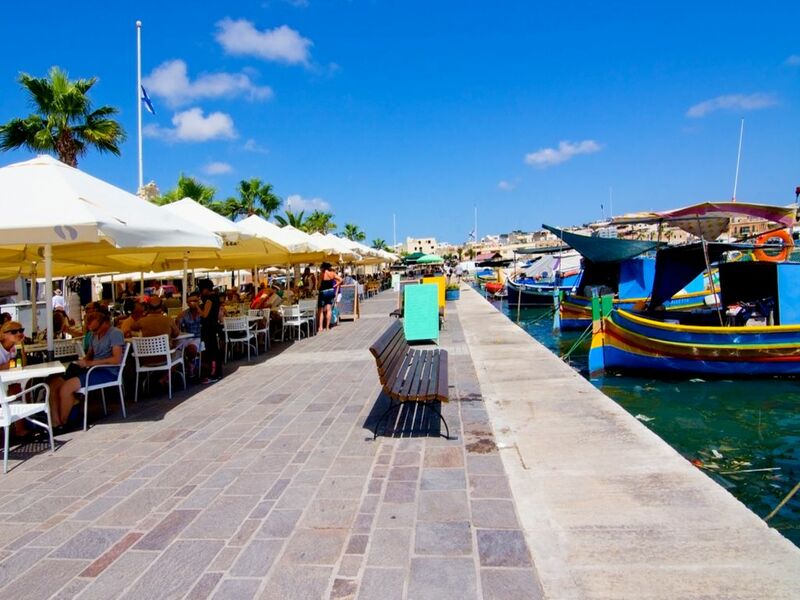 Sit at an open-air table in the square by the Parish Church within view of the port. 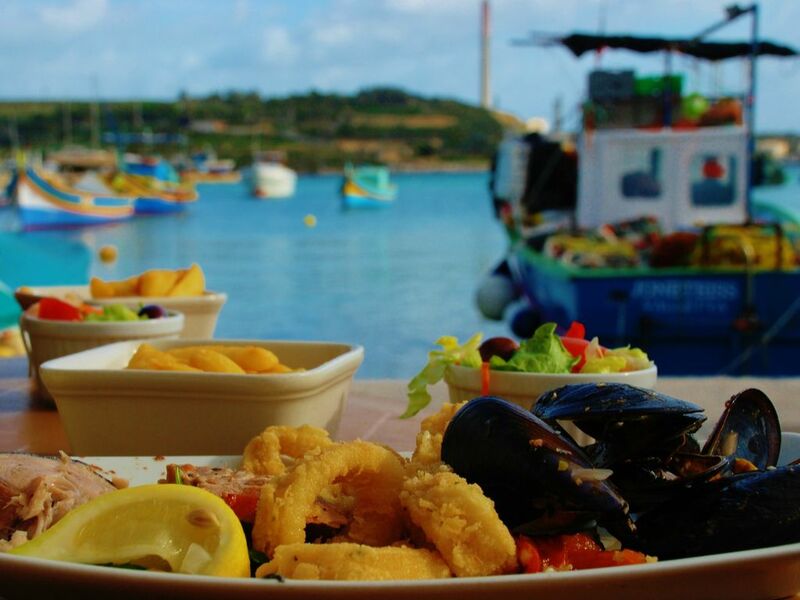 And tuck into your sumptuous portions of traditional Maltese cuisine at Ta’ Victor. Sneak away from the restless harbour front to this small, family run restaurant offering a modern twist on Mediterranean cuisine. Find out for yourself whether the rave reviews of the calamari fritti (fried calamari) and black tempura of Roots restaurant are merited. Maltese produce meets Sicilian flavour at T’Anna Mari. The relaxed ambiance lends itself well to the ‘slow food’ ethos that oozes out of the fine Mediterranean dishes and the heritage interior. 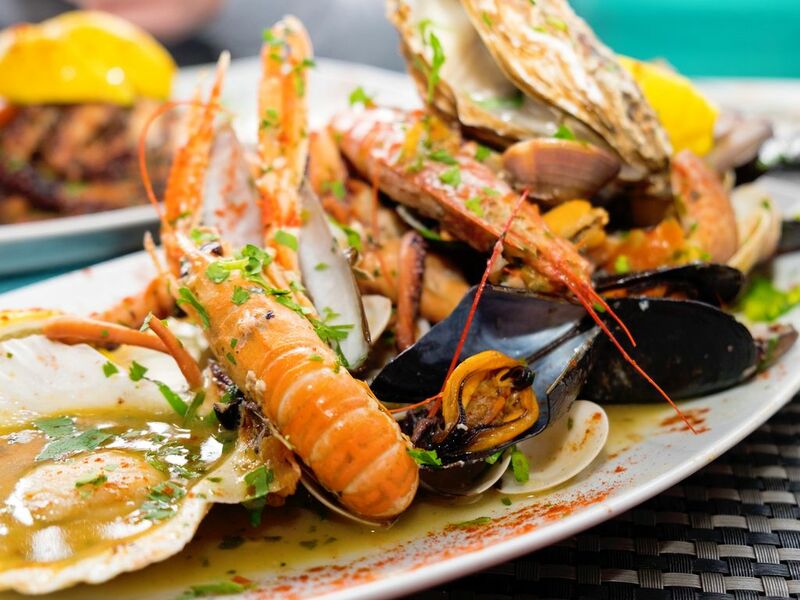 If you’re on the hunt for something other than the fresh catch of the day, head to Harbour Lights Bistro & Café for a feast of pizza, pasta and homemade burgers while being so close to the Marsaxlokk marina, you can almost dip your feet in to cool off. 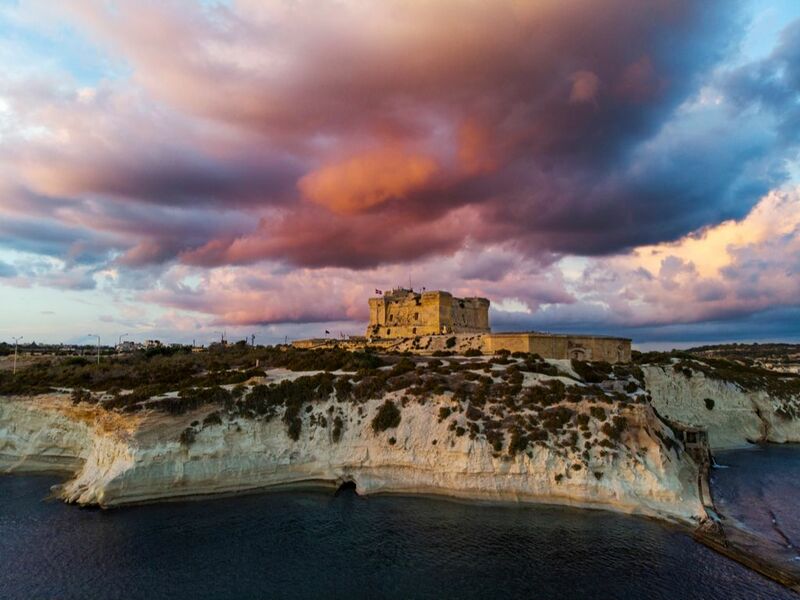 Terrone combines rustic charm with a twist on the traditional local Maltese and southern Italian cuisine. 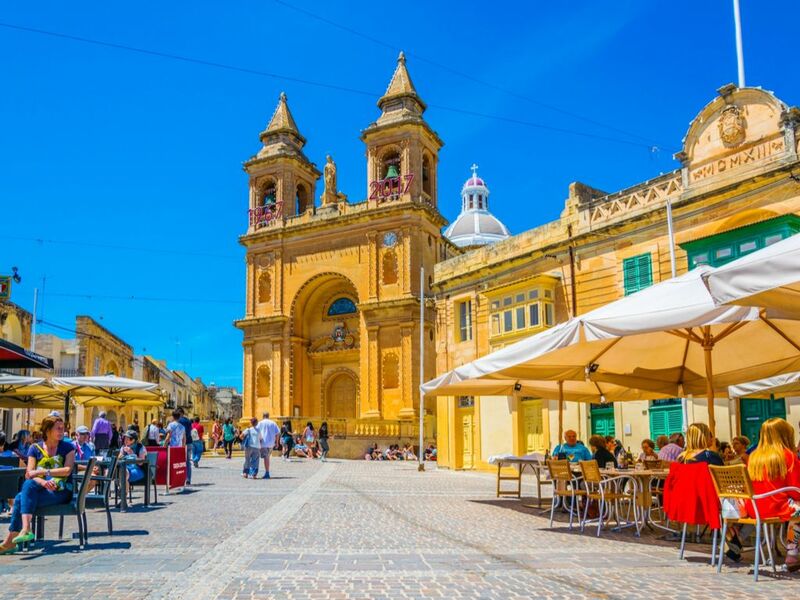 Their local, seasonal, organic produce is concocted into healthy dishes and apart from fish and local pork they also serve rabbit, a Maltese delicacy. 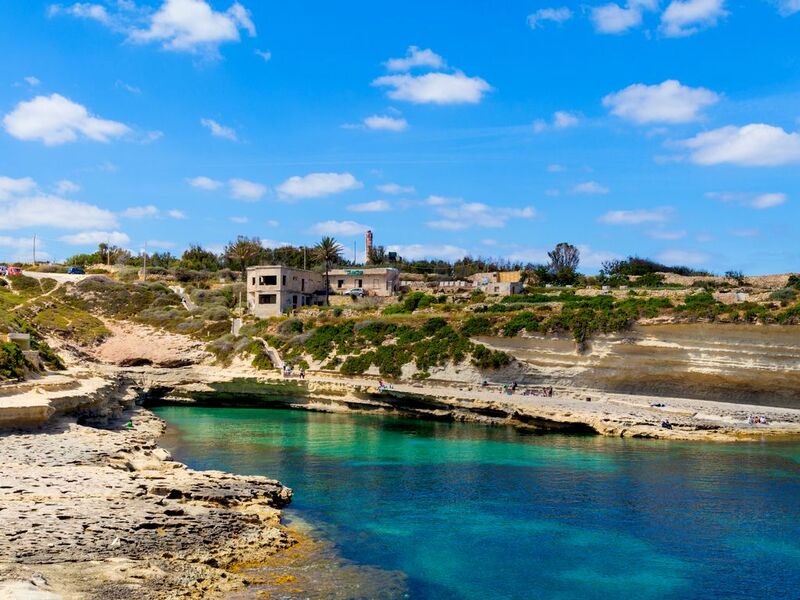 The stunning waterfront of Marsaxlokk inspires a spot of beach hopping, sunbathing and cliff diving. The only blip in an otherwise picturesque seascape is Delimara power station across the bay. However, beyond it is some of the most beautiful crystal-clear water this side of the Mediterranean. Explore off-the-beaten track nooks and crannies and admire the visually stunning rock formations hugging the coast. The Maltese Islands are a treasure trove in the middle of the Mediterranean, with as much to enjoy underwater as there is on shore. Swimming, snorkelling and diving are a must in warmer seasons. You can immerse yourself in the sea flora and fauna, the colours of the Mediterranean and life under the sea. You will greatly enjoy your snorkelling gear in these fascinating beach spots around Marsaxlokk. 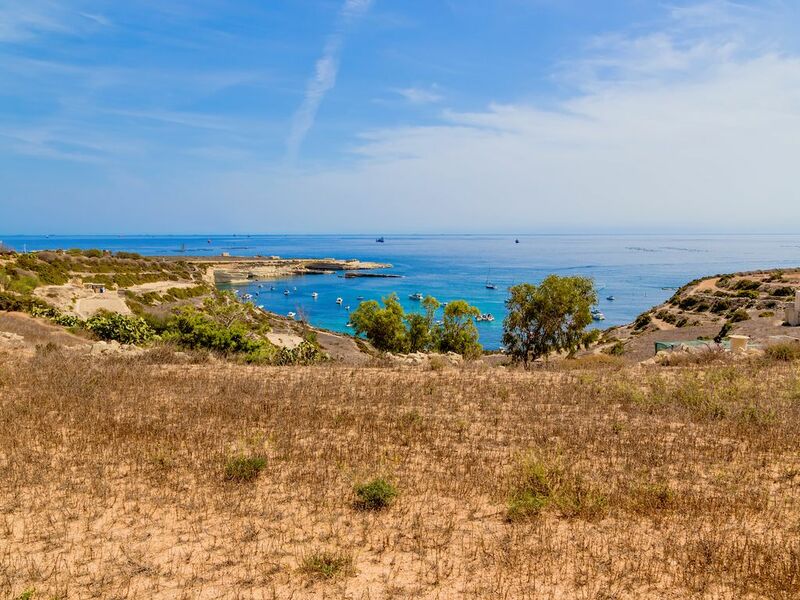 Follow the coastline to discover a little cove, Kalanka Bay, at the very tip of the Delimara Peninsula. A hidden gem that rarely appears on guidebooks, this bay remains relatively tranquil, frequented only by locals. The waters are inviting and the cliffs’ overhang due to erosion offers some shade. The reason Kalanka Bay remains so understated is because St Peter’s Pool steals all the limelight. 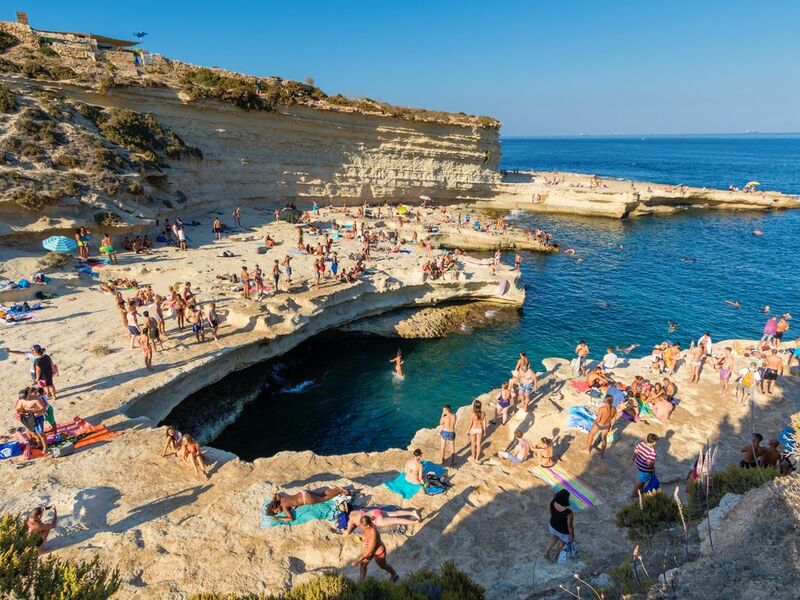 Around the eastern shoreline, this natural pool carved into smooth limestone rock is one of the paradise worthy spots on the island. This spot is great for low-height cliff jumping. Despite it being hard to get to, it can get busy in the height of summer. Continue on to il-Hofriet, or il-Hofra iz-Zghira and il-Hofra il-Kbira. Two bays with naturally rounded steep smooth cliffs connect through a natural arch. Favoured by boaters, the bays can be approached by land with a bit of dexterity. There are also natural salt pans close by. One thing you cannot miss when visiting Marsaxlokk is the Parish Church in honour of Our Lady of Pompeii. This is the epicentre of the village and a piece of quintessentially Maltese culture. The 19th century Roman Catholic church is worth visiting to admire its typical Maltese architecture and intricately decorated interiors. 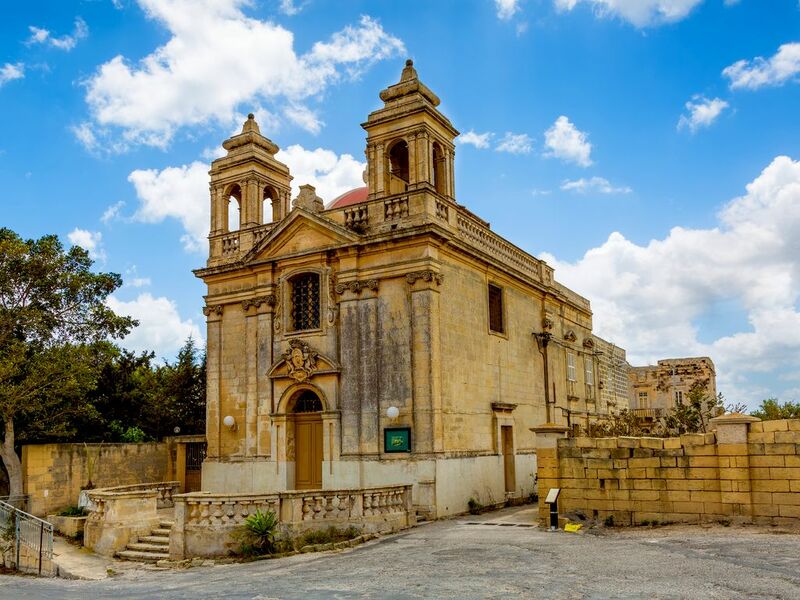 There are several historical statues around the church as well as paintings by famous Maltese artist Giuseppe Cali. The legends and myths of the village surround this beautiful church too. It was built by Marquess Rosalia Apap Viani Testaferrata, who vowed to build this church after a local fisherman saved her from a violent sea storm. This is a standing testament to the challenging lifestyle that many Maltese fishermen face. Approximately one kilometre south of the village stands a majestic 17th century bastioned watchtower. St Lucian’s Tower is a historic landmark that was built by the Order of St John. It is now used by the Malta Aquaculture Research Centre. This spot offers unique views of the port of Birzebbuga. Xrobb l-Ghagin is a sight to behold as are the views of Marsaxlokk village and port from this area. Thousands of years of erosion by fierce Mediterranean winter weather has carved the limestone cliffs. The headland is a Nature Park managed by the Nature Trust Malta NGO. Here you’ll also find a sustainable development centre running on renewable energy. The British built several fortifications intended to defend and protect Marsaxlokk Harbour during their rule of the Maltese Islands. 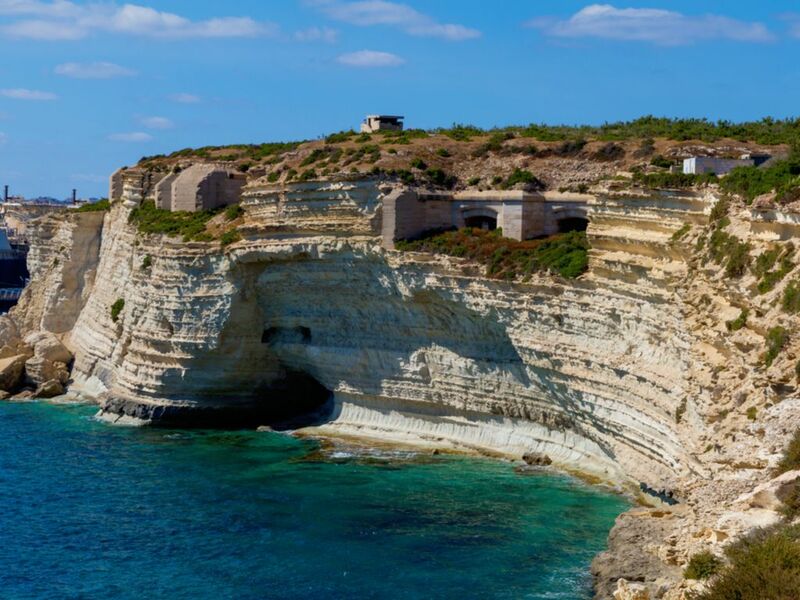 Fort Delimara is a remarkable polygonal fort right inside the cliff face at il-Hofra z-Zghira. The fort is quite run down, yet this characteristic somewhat adds to its charm. What stories these walls could share! A luzzu trip around Delimara Point is a good way to explore the area. Tas-Silg includes an archaeological site, a chapel and a fort all with that name. The archaeological site is a shrine of remains left by civilisations dating back thousands of years. It is not open to the public due to ongoing excavations. 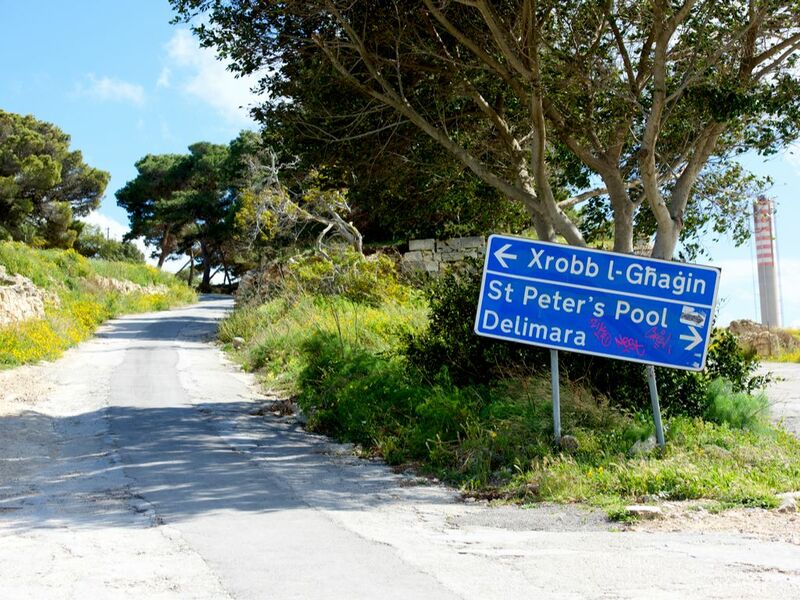 The site is named after the nearby tas-Silg Chapel, which meets you at the entrance to Xrobb l-Ghagin and Delimara. The British built the fort in 19th century, mainly as a fire control point for the guns at Fort Delimara. 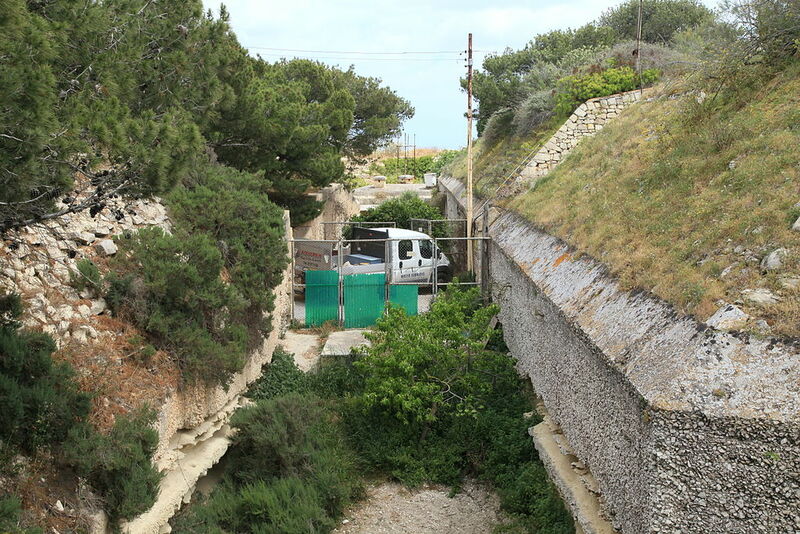 Fort tas-Silg is just a 15-minute walk from Marsaxlokk Bay. It is now home to The Island Sanctuary, a charity that cares for abandoned animals in Malta. Why not walk a dog while you’re in the area? As you can see, while the fish market may be Marsaxlokk’s central attraction, it’s certainly not the only one. With so much to enjoy, it’s no wonder Marsaxlokk is always included as one of the best things to do in Malta. This is a village that’s definitely worth a visit during your stay on the Maltese Islands.